This is the beginning of a health and environmental disaster. Microwave radiation impacts biological organisms including bees, birds, trees, and humans. It damages DNA, breaches the blood-brain barrier, impacts the heart and the blood, disrupts the immune, neurological, hormone, and reproductive systems, and may damage chitin. The U.S. National Toxicology Program and Ramazzini Institute results last year confirm this radiation is a carcinogen. 5th generation wireless — 5G — will especially impact insects due to the wavelength of the frequencies. Richard Branson is an investor in this project which is partnering with AirBus. OneWeb is one of a number of projects already approved by the FCC for space-based Wi-Fi, 4G, and 5G. Elon Musk’s company SpaceX plans to send 1000s of satellites into orbit, beginning in June.These companies intend to cover the entire Earth. There will be no place to escape. 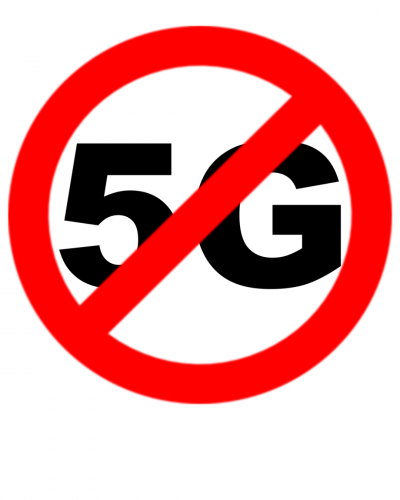 Environmental, spiritual, health, and consumer groups and leaders are urgently needed to speak up and publicly oppose 5G and these projects. OneWeb’s original press release for an earlier launch that was cancelled is here. One additional element: these satellites will dramatically raise the noise floor — increase ambient RF — making it much more difficult for emergency personnel such as police, fire, ambulances, and dispatchers to communicate via their RF equipment. Nina Beety is a researcher, writer, and public speaker on public policy, the environment, and wireless radiation hazards. Her 2012 report for public officials “Smart Meter and Smart Grid Problems: Legislative Solutions” is on her website www.smartmeterharm.org. She lives in Monterey, California.